In April 2015 we began a collaboration with Nethood and partners from around Europe on an EU application for research funding from CAPS – Horizon2020. Mazi begins in January 2016 with a kick off meeting in Volos Greece. Representatives from all partners have two days of meetings to describe respective projects and agree on a program of activity to start. 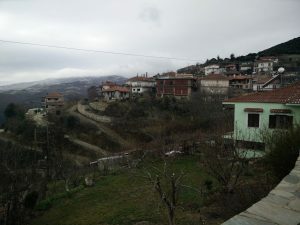 This followed by a field trip to Sarantaporo.gr just south of the Olympus mountains where village 2 village network developments are linking neighborhoods with high speed wireless networks and where improved interconnection and broadband access have been transformative.